Enjoy your favorite music regardless of your location. 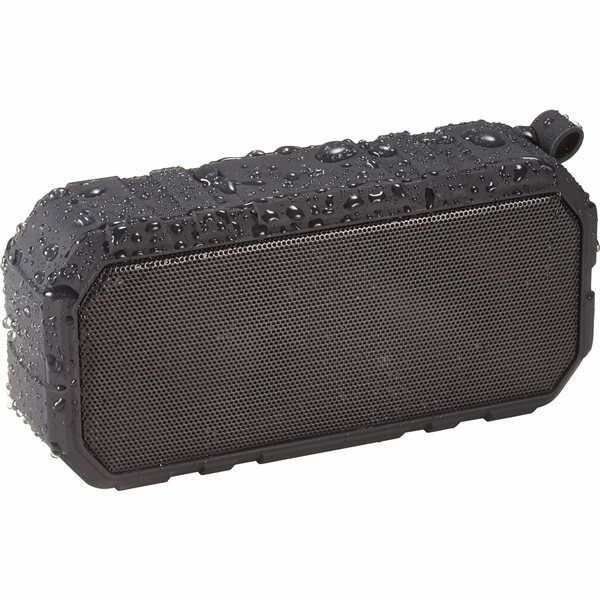 Take the Brick outdoor speaker with you to the pool, on your hike, or to your next house party. The 6 Watt output is capable of filling any location with quality sound. The Brick has a waterproof rating of IPX6. Includes Micro USB Charging Cable and carabineer clip. It takes 4 hours to charge the speaker from 0 to 100%.